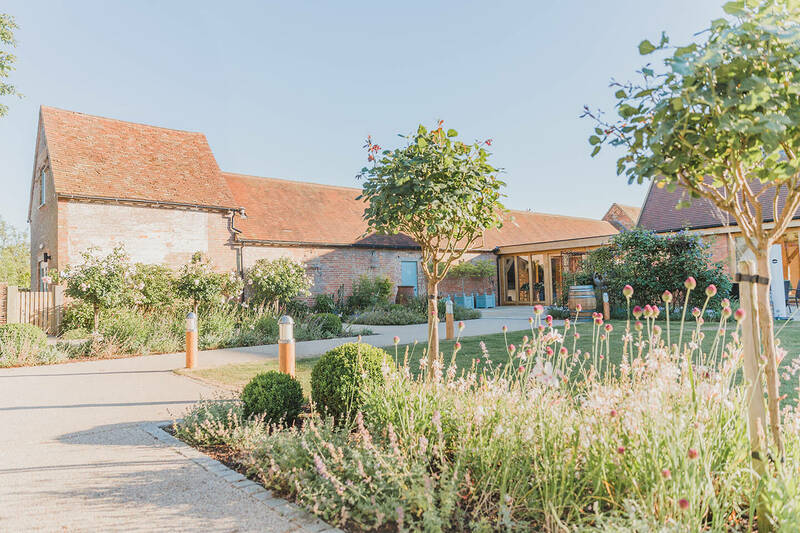 Designed entirely with weddings in mind, Bassmead Manor Barns is a venue for all seasons and for all styles of celebration. 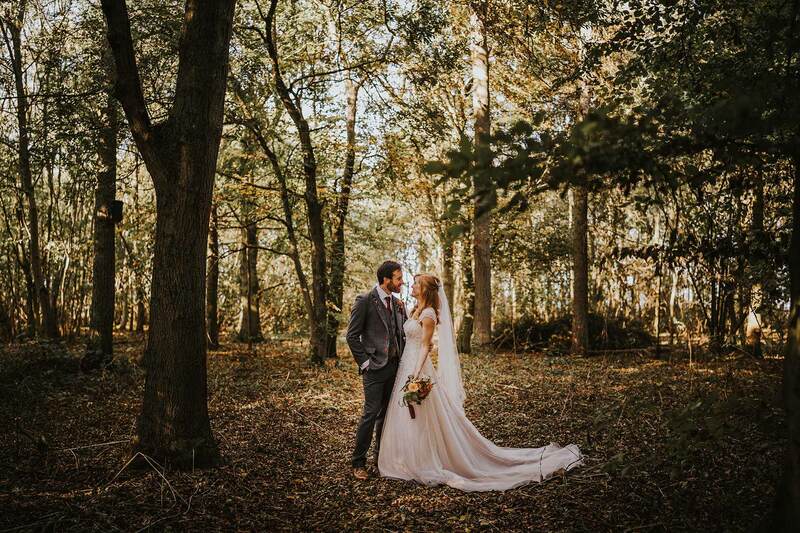 From the moment you arrive down the tree-lined avenue, wander over the footbridge and into the Bridal Garden, you will feel enveloped in romance. 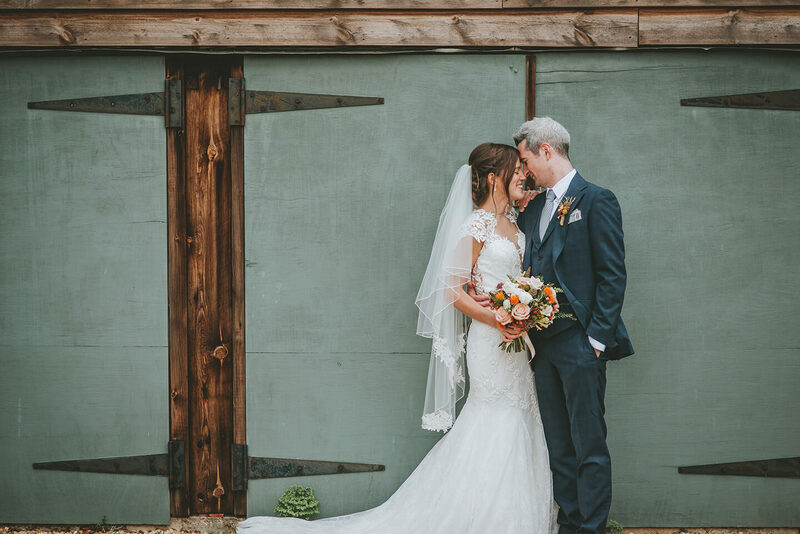 Each and every element of your day has been considered, from the Bridal Boudoir to the elegant bar, serene ceremony spaces and modern dining barn. We even boast an outdoor kitchen, for your evening party! 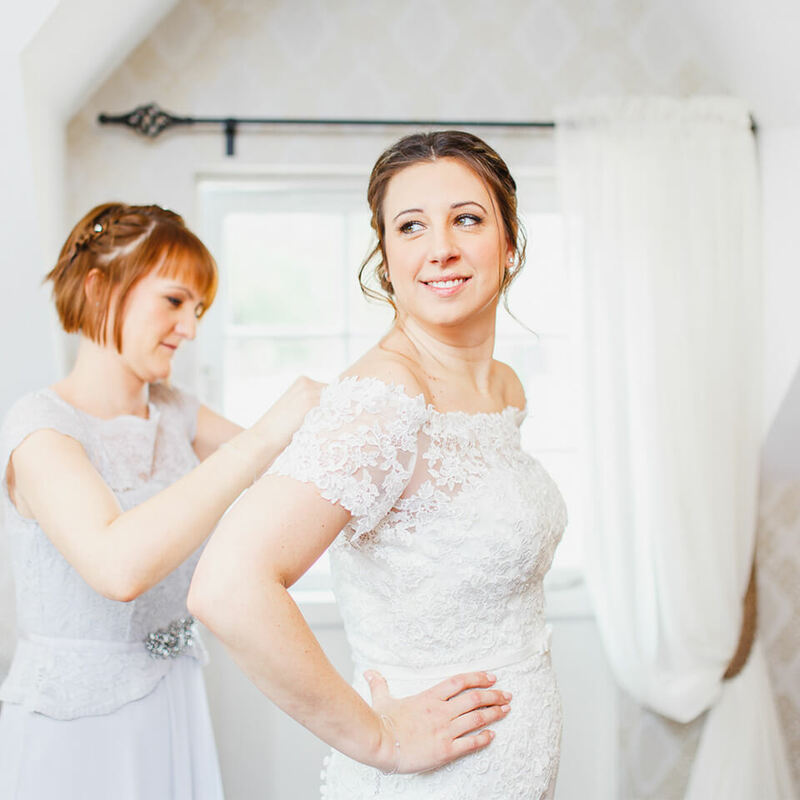 Many brides choose to get ready at Bassmead Manor Barns and, with that in mind, we have created the Bridal Boudoir. The upstairs dressing room is generously proportioned with full-length mirror and dressing tables. Meanwhile, the downstairs sitting room is the perfect place to meet with your registrar and to enjoy a glass of fizz and a moment of calm before your ceremony. 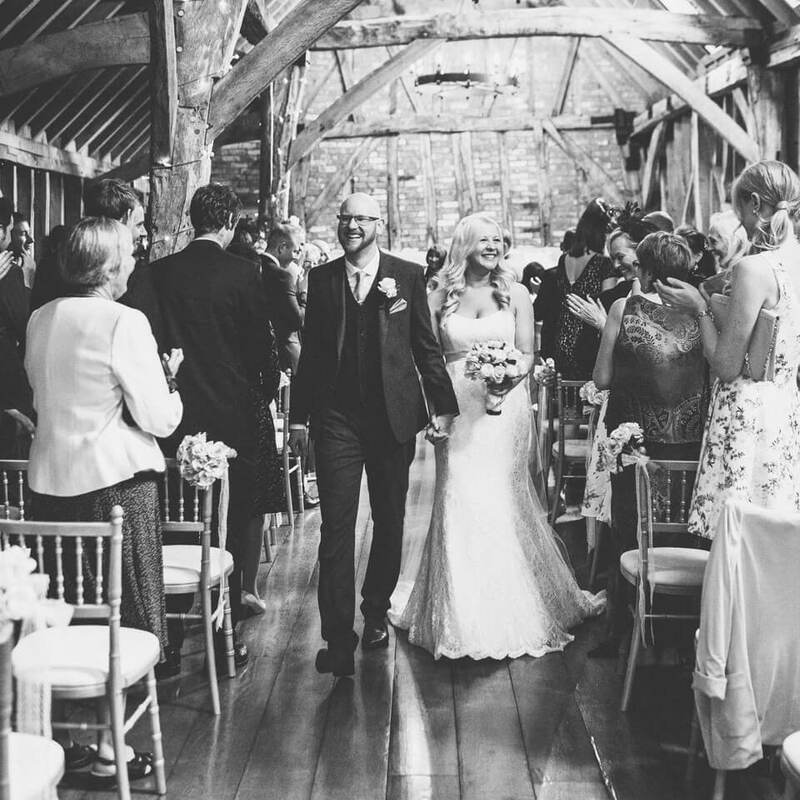 Walk through characterful stable doors into the 300-year-old Rickety Barn for your civil ceremony. 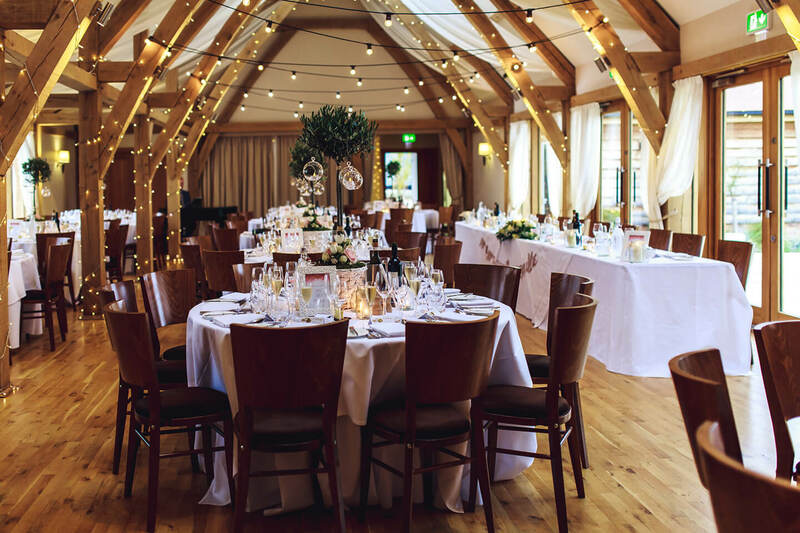 With original solid oak beams, wooden floors and wrought-iron chandeliers, it boasts an aura of serenity and romance, the ambience highlighted by twinkling fairy lights. 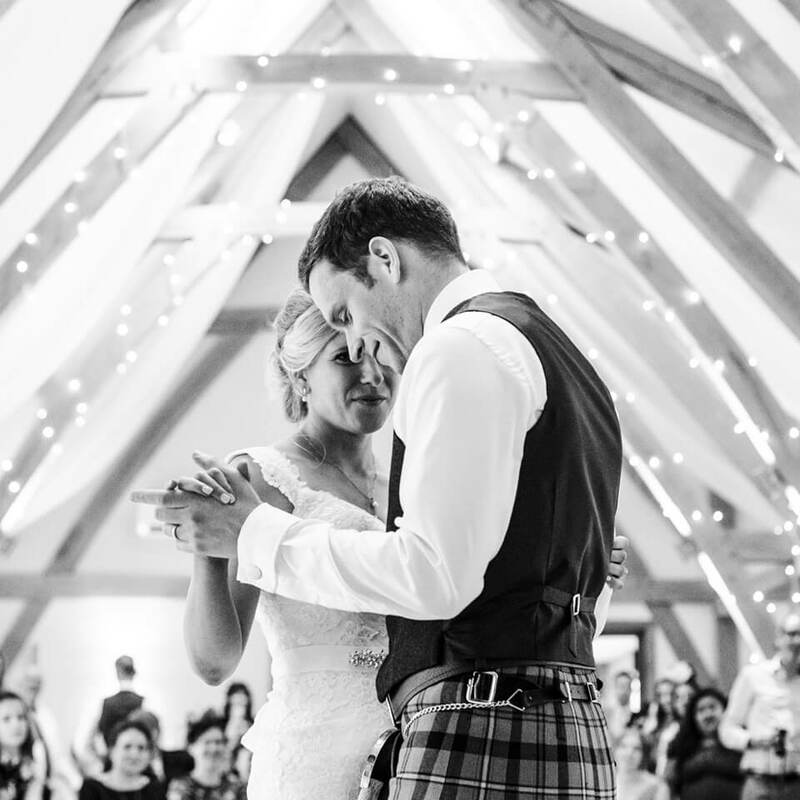 Lovingly restored for your special day, it also includes modern touches such underfloor heating and a music system. 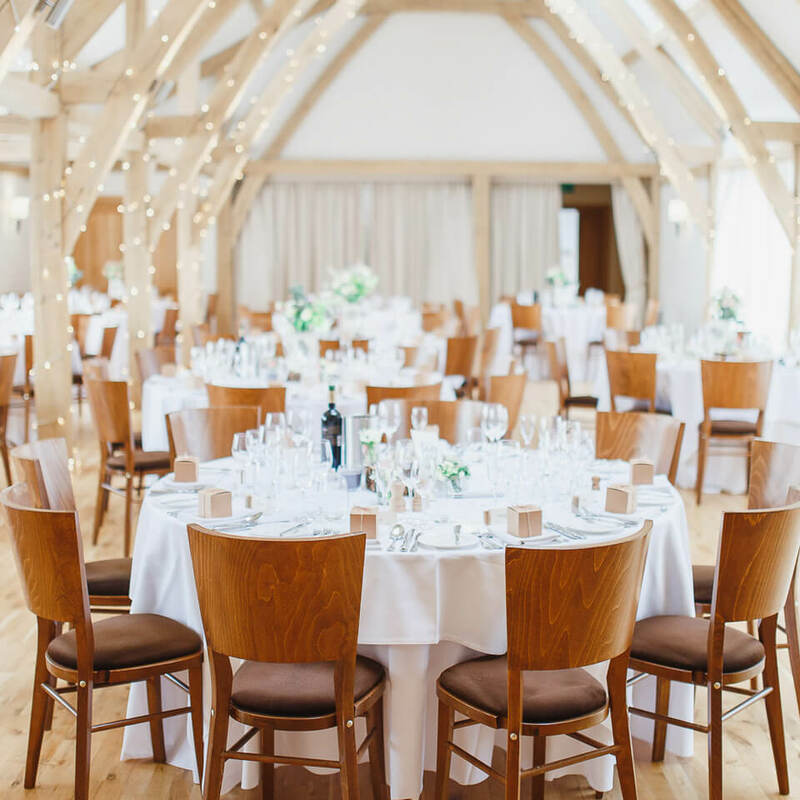 Following reception drinks in the Moat Barn, we invite you to dine in the Bridge Barn. Contemporary and flooded with natural light, this spectacular space features a dramatic timbered ceiling and views across the gardens and moat. A neutral colour scheme gives you the opportunity to impart your own style, its elegant simplicity needing little other than some beautiful flowers to bring the outside in. 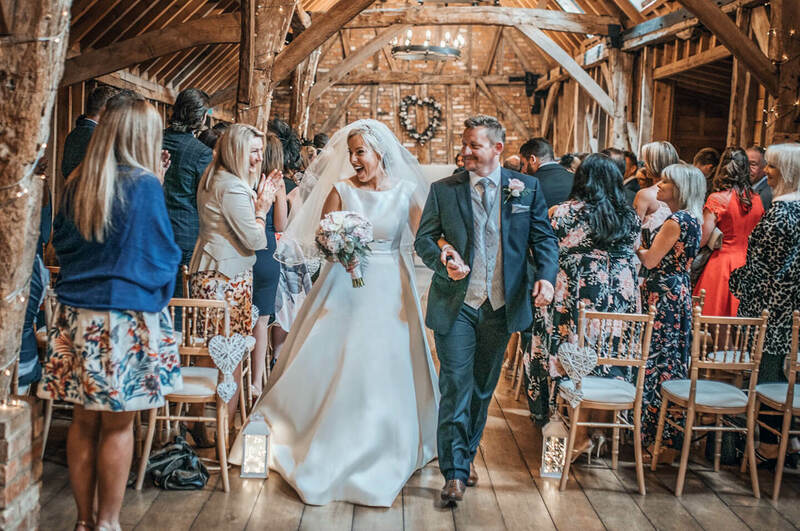 Whether you’re wondering how large the tables are, want to know whether you can have sparklers or would like to find out whether you can bring your dog to your ceremony… we hope the answers to some of our more common questions will help. 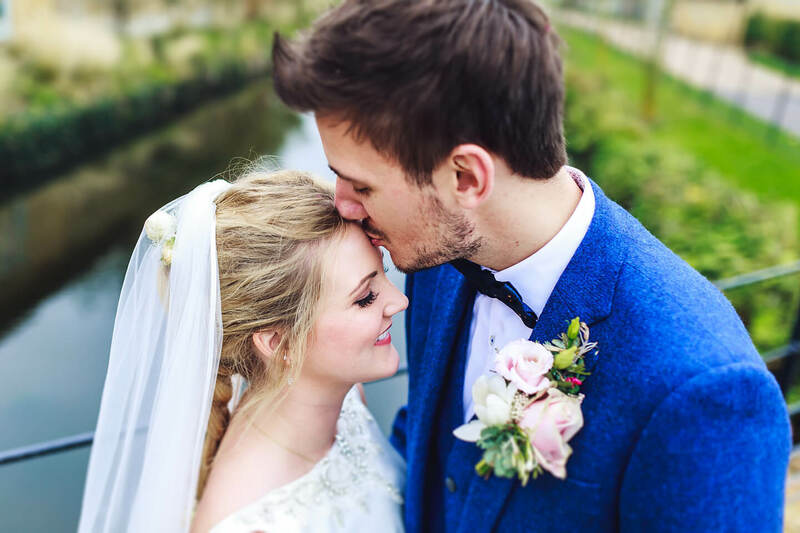 Of course, if you have any queries at all, our Events Team are on hand to offer advice and answer questions from the moment you book your wedding. The secluded private garden at Bassmead Manor is set beside the moat and framed by a white chestnut tree. 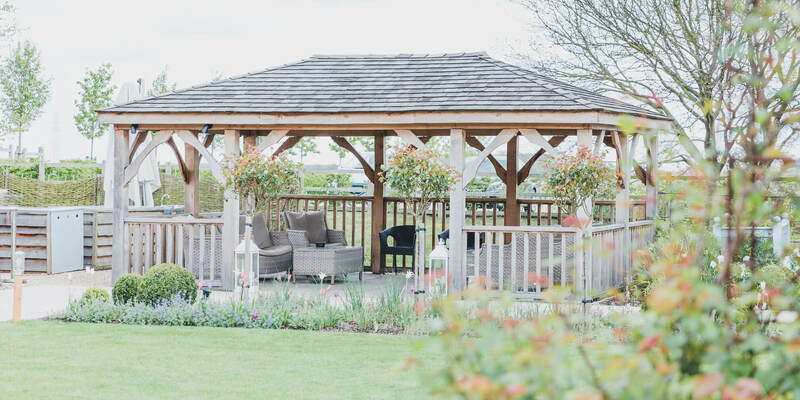 This idyllic spot will greet your guests as they arrive and may also be the setting for your welcome drinks along with a few garden games. 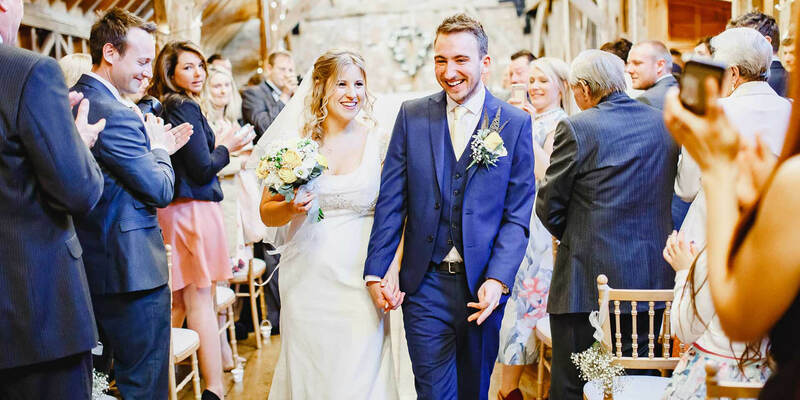 Whatever the weather or season, the garden becomes an integral part of your wedding day, with doors leading from the Moat Barn and Bridge Barn to the heated patio along the beautiful herbaceous borders to the delightful oak Gazebo all spectacularly lit up at night. 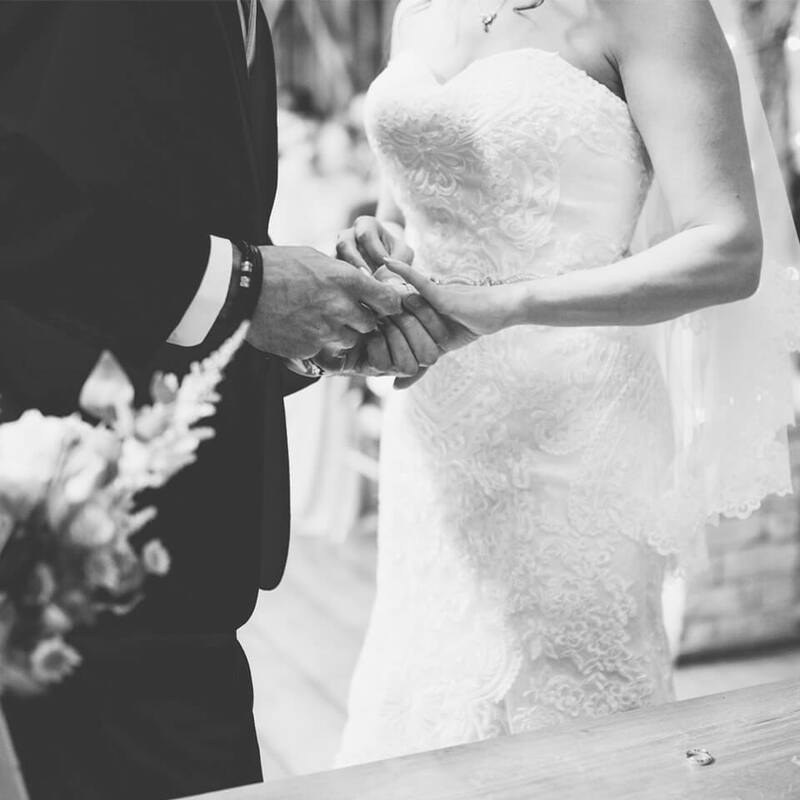 Exquisite dining is a key element of every wedding at Bassmead Manor Barns. 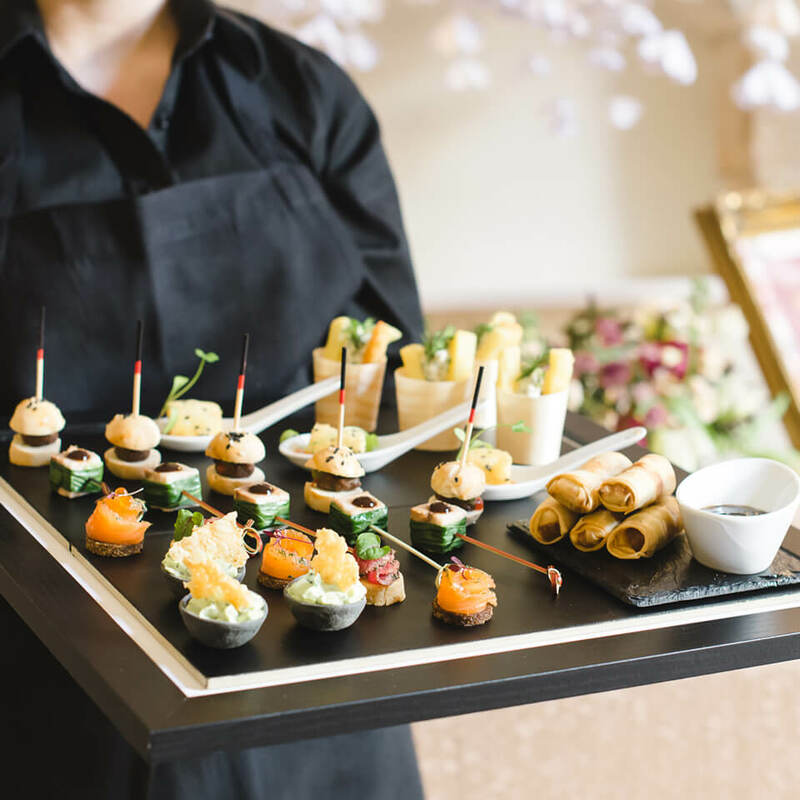 We are delighted to work alongside Galloping Gourmet, our in-house Catering and Events Team. 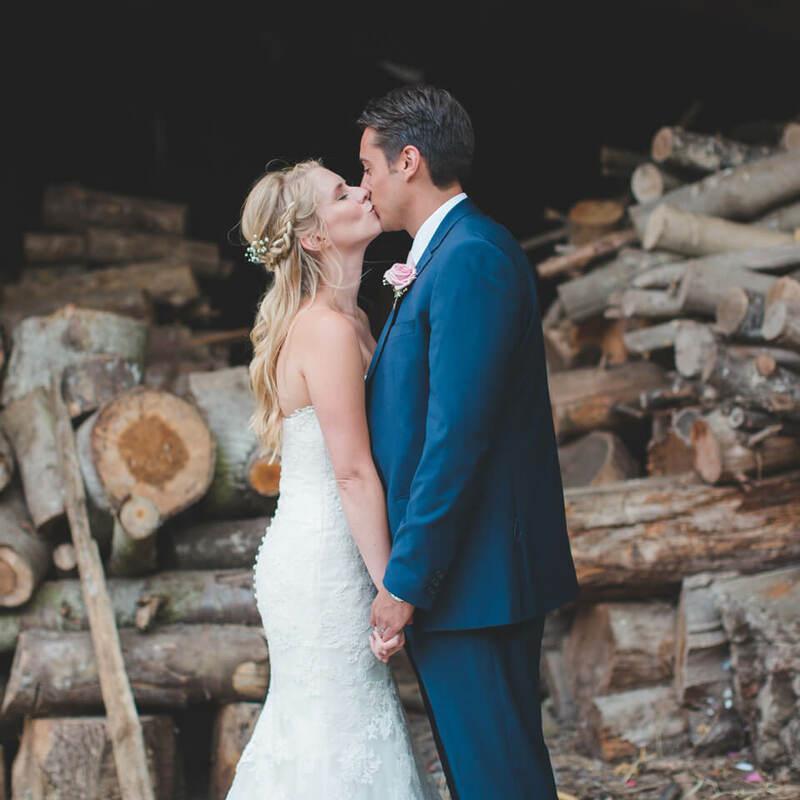 Their talented team of chefs use only the finest produce to create your bespoke wedding menu, from fine dining for your wedding breakfast to delicious wood-fired pizza during the evening celebration. 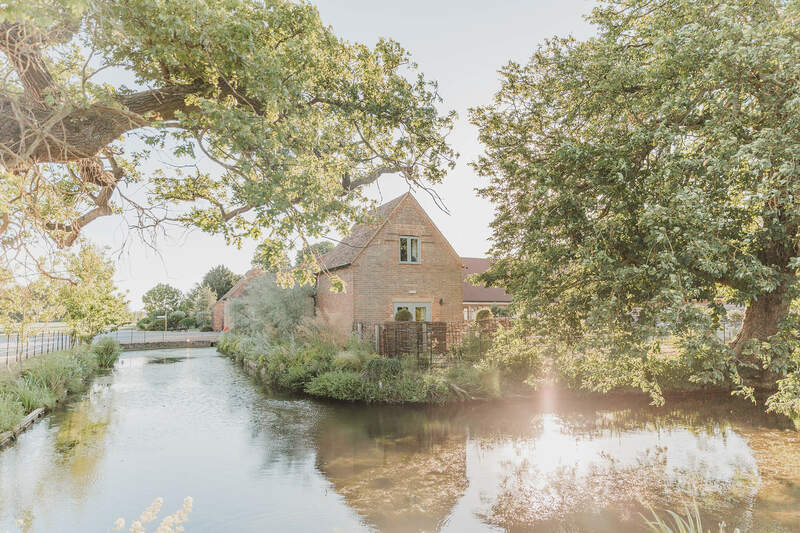 As day turns to evening, dance the night away in the Bridge Barn, wandering through to the bar in the Moat Barn or out into the garden. Galloping Gourmet will create your chosen evening menu, perhaps wood-fired pizza or street food. And, of course, we hope you will spend the night. Dove Cottage is just for you, while Appletree Cottage features seven bedrooms for your closest friends and family.